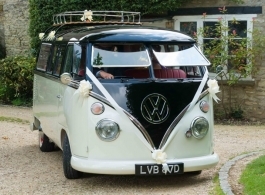 Gerry is a 1966 Deluxe Trim Split Screen Camper Van available to hire for weddings and other special occasions, based in Northamptonshire. 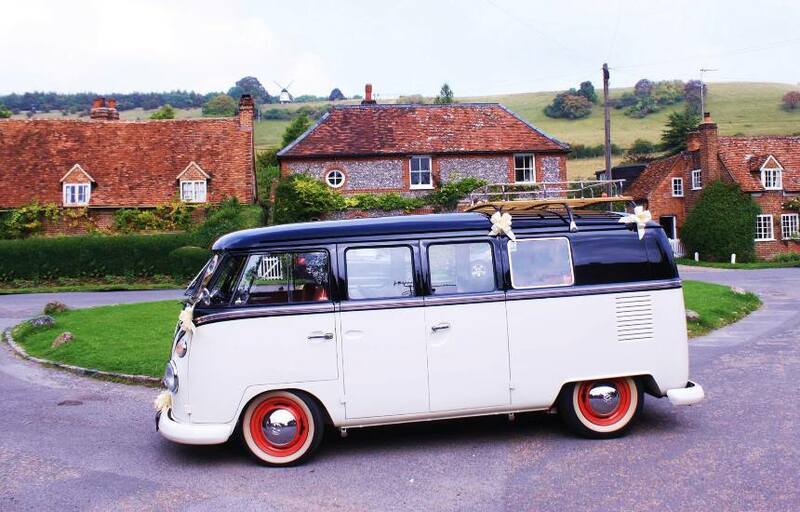 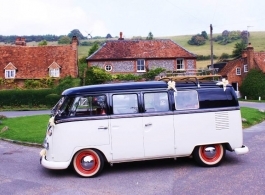 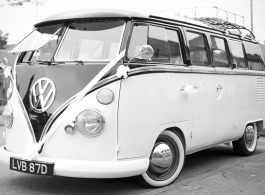 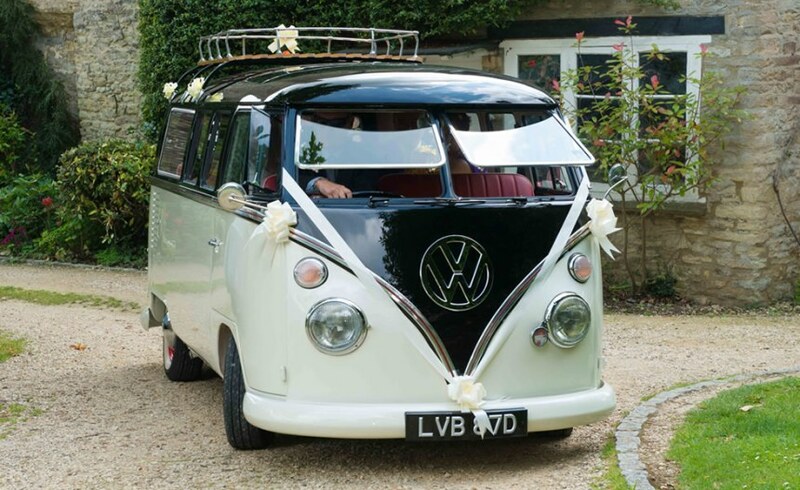 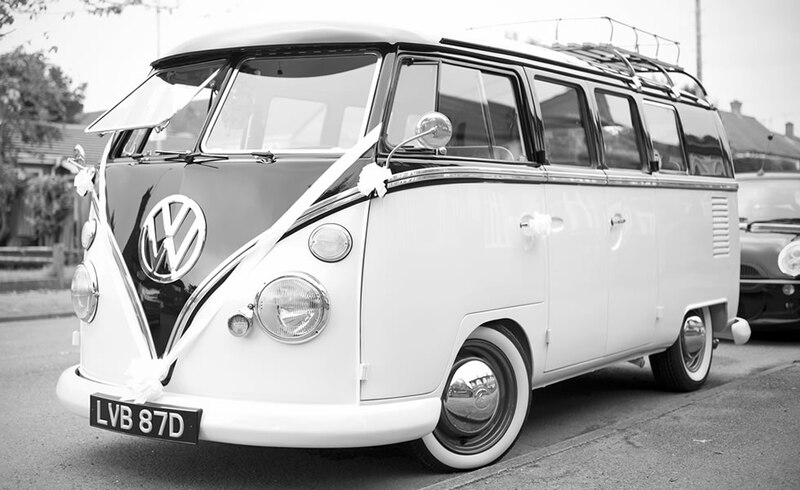 This classic 1960s VW is Pepper White and Jet Black with a Cherry Red interior which is a superb contrast to the traditional White bridal dress. 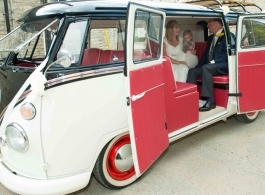 It is also an ideal mode of transport for the groom and best men, bridesmaids and family members. 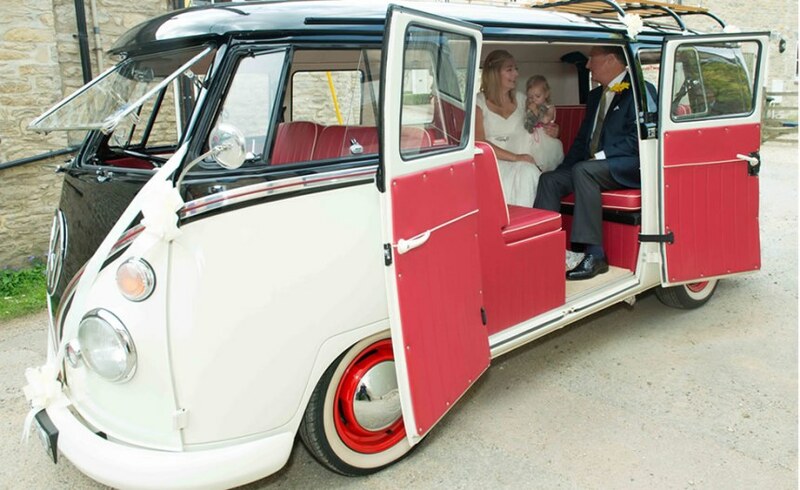 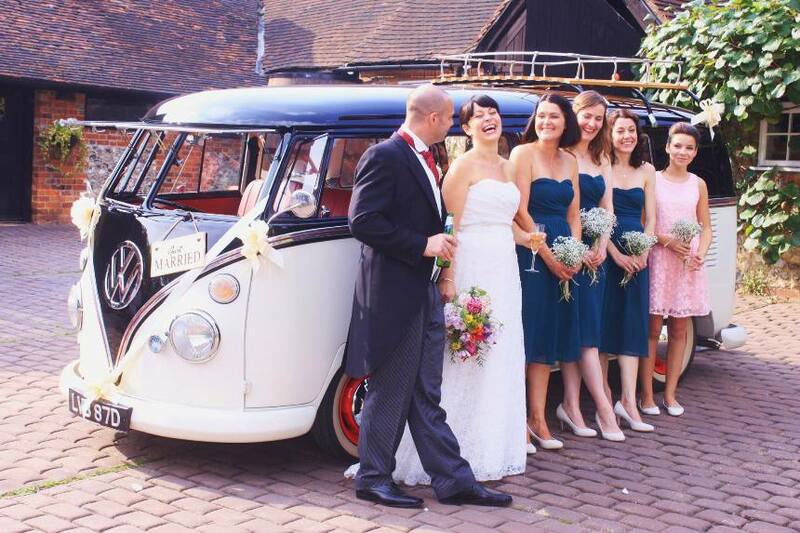 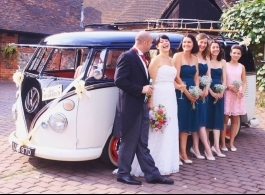 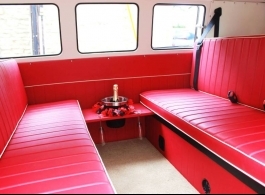 The interior of the wedding Campervan is very spacious and will accommodate up to six people in the back and 1 -2 in the front. 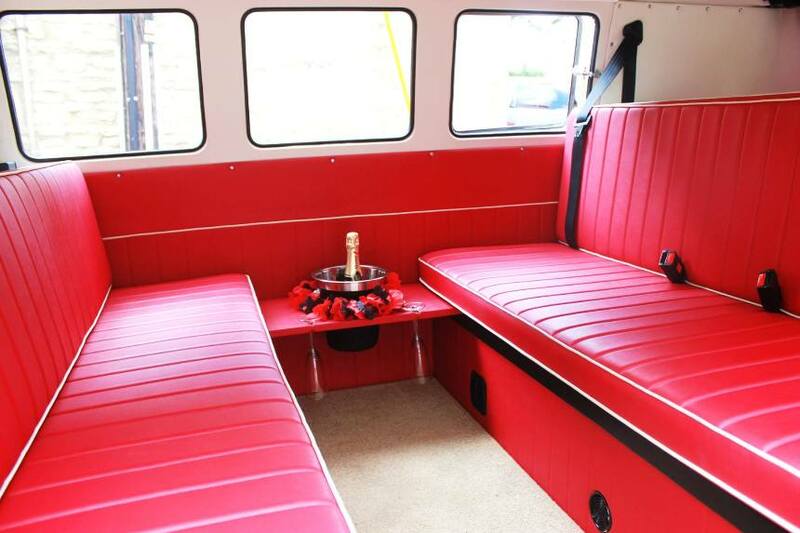 A complimentary bottle of bubbly is provided or beers for the groom and best men.